Head to SoHo to enjoy some of the best people watching, window shopping and gallery hopping in this unique NYC neighborhood. SoHo refers to the area south of Houston Street and is a top shopping destination in NYC, and the world, where designer clothing exhibits mingle with high-end art galleries. SoHo is full of history. It was the first free black settlement in New York in the 1600s and then later home to the Italian immigrant community who are still present today with authentic Italian sandwich places like Alidoro. Beginning in the 1960s, the area’s many high-ceilinged lofts were studios for NYC’s most famous artists. The streets of SoHo are lined with “cobblestones” or rather Belgian blocks and the largest collection of historic cast-iron buildings in the world! It is one of the most expensive NYC neighborhoods because there are no skyscrapers – the renovated warehouses are usually no more than six stories high. Thank you Noel Asmar for sponsoring this, shop the collection here. Transportation: Take the N, R or W train to Prince Street or the R, W to Canal Street. 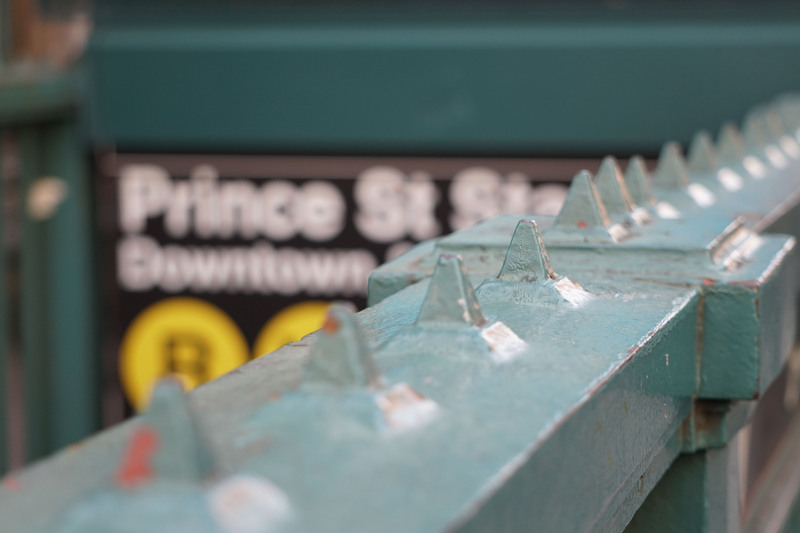 On the East side, take the 6 train to Spring Street on Lafayette. On the West side, take the C or E train to Spring Street or the A express train to Canal street. 1. 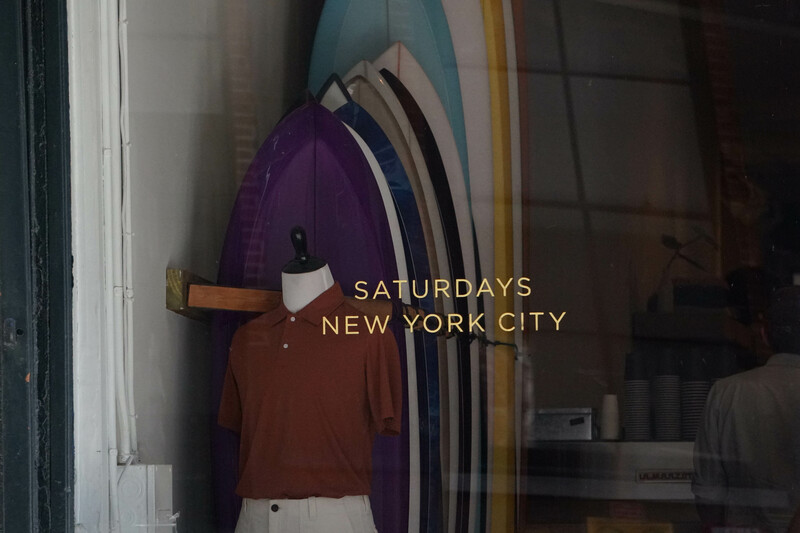 Window shopping: SoHo is one of the premiere shopping destinations for trend-setters and tourists alike, and like museum exhibits, SoHo window displays are carefully curated, with each window display flashier than the last. 2. Gallery hopping: Although many galleries have moved to Chelsea, there are still a number of beautiful art galleries in SoHo like Team Gallery, The Drawing Center and the Leslie-Lohman Museum of Gay and Lesbian Art. 3. Housing Works Bookstore: This unique bookstore and thrift store has a cozy atmosphere and hosts regular thought-provoking events. They are community driven, run by volunteers who help fund the not-for-profit organization advocating for homeless people living with HIV/AIDS. 4. Saturday’s: This flagship surf shop is home to minimalist menswear and a La Colombe coffee and espresso bar. Enjoy fresh brewed coffee in the store’s backyard sanctuary. 5. Jersey Street: This tiny historic one-way street is often the backdrop of photoshoots, and even houses one of the oldest manhole covers dating back to the 1860s. There is only one door on the street, marked #1. 6. Haughwaught building: Walk past 488 Broadway, on the corner of Broadway and Broome Street, to see the Haughwaught Building built in 1857, one of the best cast-iron building examples of original SoHo architecture. It is also the home of the world’s first successful hydraulically powered passenger elevator. 7. MoMA Design Store: Bring Modern Design home by visiting this MoMA design store location full of classic twentieth-century designs and modern décor, accessories and more. 8. Culinary Classes: Take a short “One Day Class” at the International Culinary Center with some of the world’s top chefs, learning how to make chocolate truffles or homemade pasta. 9. Bankelok: Bankelok carries unique handcrafted and sustainable jewelry and accessories made by female artists and designers from places like Brazil, Greece, Spain, Kenya and India. The store owner, Ana, was transformed by her first solo trip to Asia inspiring her to start her online store and then, later, a physical store in SoHo, to empower more women around the globe. 10. What Goes Around Comes Around: This is the flagship of the world’s premiere luxury vintage store which has the largest Chanel collection and a sizeable assortment of Levi’s denim and much more. 11. Film Forum: Head around the corner as West Houston curves over 6th avenue to see the 1970s landmark building which shows rare classic, independent and foreign films. This is the only not-for-profit movie house in NYC. 12. Pegu Club: Visit the birthplace of the NYC artisanal cocktail movement, where new and classic recipes are reinvented by cocktail connoisseurs. Many of the bar’s most talented mixologists have started some of the world’s best cocktail bars from PDT to Death & Company. 13. Jimmy at the James: Eighteen stories up, The James Hotel rooftop features panoramic views of Midtown, the Hudson River and the Financial District downtown. It is a destination to socialize year-round with a pool deck and a lounge area surrounded by floor to ceiling windows. 14. Artists and Fleas: One of the newest locations of the multi-merchant marketplace that originated in Williamsburg is now open daily in SoHo, and is full of worldwide-inspired local crafts. 1. Balthazar: This authentic French brasserie has become a SoHo landmark and recently even the subject of a book “At Balthazar” by Reggie Nadelson. 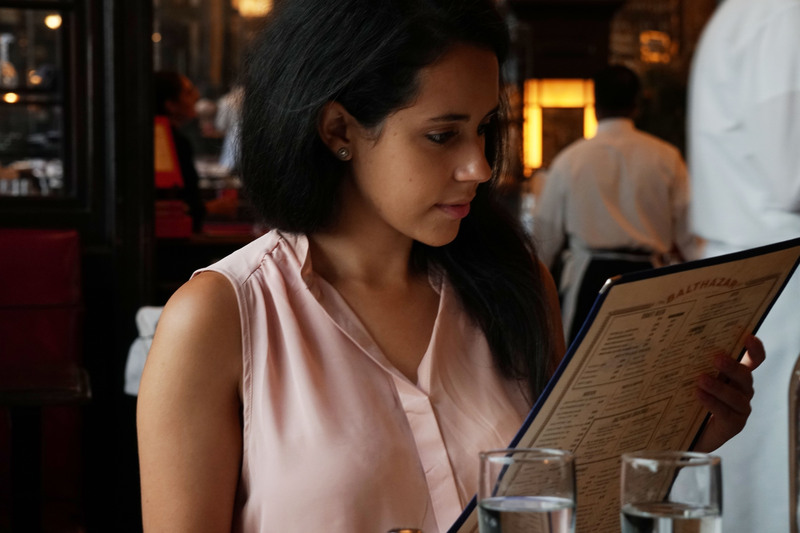 It’s a classic New York place to be seen and a cozy Parisian spot for brunch or a business meeting. Order the eggs benedict or the avocado toast for breakfast or the steak tartare or the braised short ribs for dinner. 2. Dominique Ansel Bakery: There is so much more to this bakery than the cronut (half croissant, half doughnut) that started it all. There are constantly new seasonal specials and creative concoctions like the milk and cookie shots and frozen smores! If you are only in it for the cronut, pre-order it online up to two weeks in advance to guarantee the pastry won’t sell out – and you won’t have to wait in line! 3. Ladurée SoHo: This is the best and most iconic place for macaroons in NYC. Try the melt-in-your-mouth rose flavored macaron. Make a reservation for the back garden – trading the busy NYC streets for a real French café feel. This is an ideal place for a birthday brunch starting with champagne complete with a strawberry and rose petal. 4. Alidoro: Rated the best sandwich shop in New York, Alidoro was founded in 1986 in SoHo and recently expanded to two new locations in NoHo and Midtown. It feels like you’re in Italy walking into this hole-in-the-wall shop which serves authentic Italian sandwiches with only the best ingredients. 5. Fanelli Café: This 1922 speakeasy turned café specializes in pub food and affordable drinks. The iconic sign and red-and-white checkered tablecloths feel homey, and are a welcome contrast to the shiny storefronts around the area. 6. The Dutch: This all American joint serves delicious waffles, burgers, and fried chicken. It’s also known for its one-of-a-kind rabbit potpie! Go here for brunch or a dinner date. 7. Little Prince: If you’re in SoHo and only have time to wander, you must at least walk past this adorable, flowery French restaurant façade. This popular spot is worth the sometimes 15-minute wait just to try the French onion soup burger! 8. Blue Ribbon Brasserie: Blue Ribbon Brasserie is an American restaurant where locals devour the 4am late-night dining scene. A celebrity favorite, some sightings at Blue Ribbon Brasserie include Jim Carrey and Jessica Alba. 9. Shuka: (previously Hundred Acres) This brand new Mediterranean restaurant serves up tagine with cod, vegetable paella, roasted corn hummus and Spanish mackerel. 10. Sadelle’s: Although this bakery and restaurant is open for breakfast, lunch and dinner, you must go for the hand-rolled bagels. Sadelle’s New York staple has been named one of the best bagels in New York and if you love cheese and everything bagels try the inverted grilled cheese. 11. Lupe’s East L.A. Kitchen: From the vibrant pink and blue walls to the tall margarita glasses to the Cal-Mex cuisine, this affordable hole-in-the-wall joint emulates East L.A. vibes in the heart of SoHo. The fresh chips and salsa are always yummy. Try an enchilada with mole sauce and a side of sweet plantains. 12. Jack’s Wife Freda: Opened by a husband and wife who had restaurant backgrounds in Israel and South Africa, this all-day bistro serves American-Mediterranean dishes and classic cocktails. For breakfast try the rosewater waffle or the green shakshuka. 13. Sanctuary T: Owner Dawn Cameron describes this restaurant’s goal to offer a retreat from city life as “centered around the rituals and sensuousness of tea.” Drinking tea here is meant to be an experience. 14. Vesuvio: This famous lime green establishment started baking Italian bread in 1920 and was recently transformed into a Birdbath Neighborhood Green Bakery. Go here to step back into history and enjoy the freshly baked cookies! 15. Salud: Salud means “health” in Spanish. This hole-in-the-wall spot serves up organic and vegan dishes and drinks like the Tulum breeze smoothie or seasonal Aztec hot chocolate, and is worth checking out for the fun Frida Kahlo art alone! 1. NoMo SoHo: Make an entrance through the twinkle-light green awning into this neo-baroque hotel. Socialize in style at the NOMO Kitchen or the Library Bar, which is hidden behind a bookshelf. 2. The Mercer: The Mercer is one of the first hotels to offer both loft homes and hotel rooms. Unlike most tiny NYC hotel rooms, each room at The Mercer hotel feels like a spacious loft apartment with high ceilings, flooded with light. 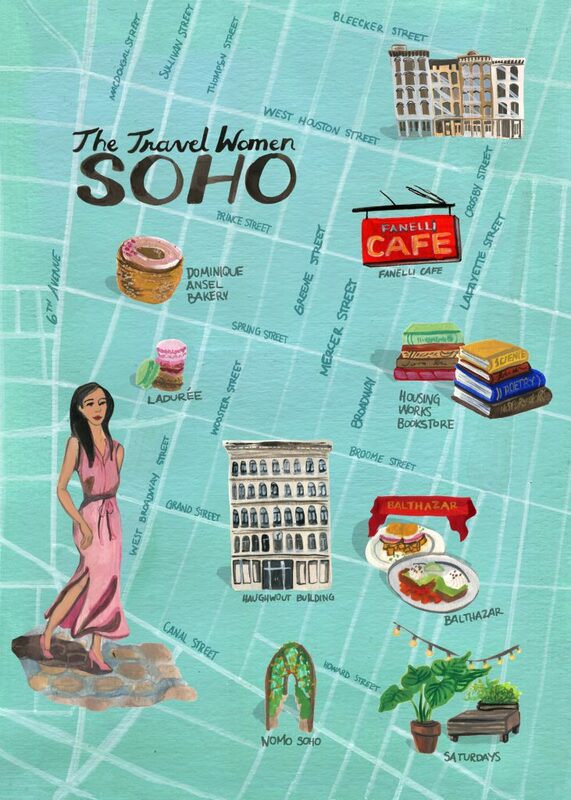 What are your favorite spots in SoHo? Which NYC neighborhoods would you like to see covered next? I love this!! I always get so overwhelmed in Soho, but I still love to visit! I’m going to have to check out those restaurants because they sound incredible. Thanks for this list! Thanks for this! I love visiting NY and go once, if not twice, a year…I will keep these things in mind next time I go! Thank you, so glad to hear you love visiting NY and will keep these things in mind for your next trip! Thanks for the article and your impeccable look ! Where did you buy your pink shoes, please? Haha…that’s awesome i dint even notice this anytime there is such a wonderful place in NYC lets go one day! and that is that is how i feel about the place exactly…so incredible thanks for sharing very informative and helpful blog!